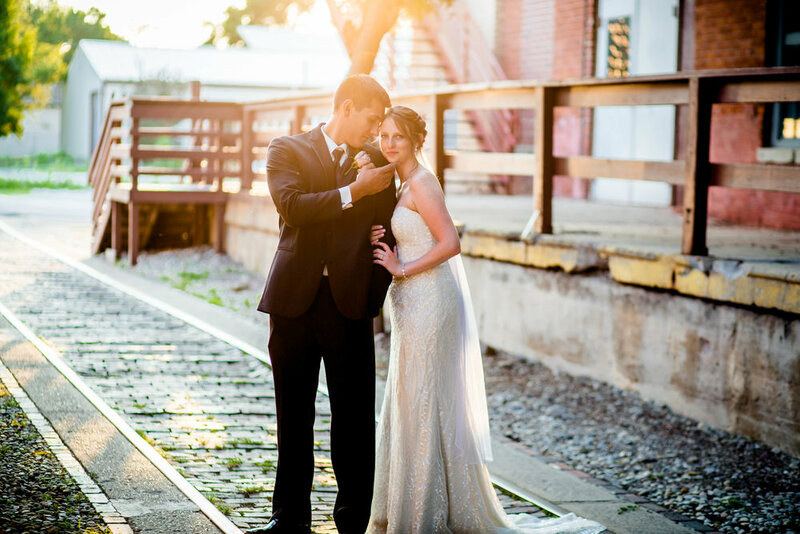 Curious about what it's like to have your wedding at Bread & Chocolate? Here are just a few kind words that we have gotten from our past clients. We invite you to view more reviews on our Facebook page as well. We want to thank you so much for giving us the most amazing wedding. From day 1, you were so incredibly helpful and accommodating. We had so much fun planning our wedding with you. You truly made everything so fun and easy! We know that a lot of hard work goes into every single wedding you put on and we just want you to know that all of your efforts were so appreciated. Your venue is beautiful and we are still dreaming about the delicious food and desserts! You are all the absolute best! Thanks again! Thank you so much for helping us have the wedding of our dreams! Our day was perfect and Bread & Chocolate was the perfect venue! We appreciate all of the help you provided throughout the planning process and especially the day of the wedding! You made the process so easy. We received a lot of positive feedback on the venue and especially the food - we couldn’t agree more! I cannot begin to thank you for all of the hard work your entire staff put into our wedding day. Thank you for your professionalism, expertise and patience with me, especially working with me from across the country. Everything was exactly how Logan and I dreamed it would be. I can't help but be emotional when thinking of 4/28/18 - the best day of our lives. I know it would not have been possible without all of your hard work! Thank you, again! Thank you for giving us such a beautiful wedding. We cannot thank you enough for this! Everything far exceeded our expectations and was better than we could have imagined it to be. Thank you for such an amazing group to work with as well. I was impressed and grateful for how quickly you responded to all my questions leading up to the wedding. You have truly been a joy to work with! The service for the night of was perfect and the food, even more so! We had a number of our guests tell us that it was the best food they had at a wedding. We will definitely be recommending B&C to anyone we know getting married! Thanks again! Words can’t express my gratitude to you and your staff. From day one you have been amazing to work with (and patient with all my emails.) Yesterday could not have been any more perfect. You are a top notch venue and staff and I am truly blessed to have worked with you. You guys made me feel like I was the only thing that mattered yesterday and our special day was amazing. This could not have happened if it weren’t for all of you. So, thank you and I hope you know how special you guys are and how thankful I am for all of you!! Words cannot describe how amazing you all were from day one that we called to book our wedding, all the way through Tyler and I saying "I Do." It was absolutely everything we could of imagined. It was seamless, beautiful, elegant and overall perfect! Your team helped make it all possible and there are no words to truly show just how grateful and appreciative we are. We cannot thank you enough and will continue to share with family and friends for eternity just how fabulous you are! Thank you for going above and beyond during the whole planning process, to the actual wedding day. We chose Bread & Chocolate for the beautiful looks, but for also for the simplicity. We loved the one-stop shop- wedding ceremony, appetizers, reception all in one place. Our guests loved it too! But most of all, thank you to the amazing staff. Every single person was helpful and made our day perfect. We picked the best place in Indiana to host the best day of our lives. We cannot thank you guys enough! We would like to extend our heartfelt thank you to the entire staff and B&C. We cannot thank you enough for helping to make our wedding day so perfect. A special thank you to Melissa for being so kind and helpful the entire day. We appreciate you and the fantastic job you do. We would like to thank Jessica for helping with the entire wedding process and planning. We are very impressed with Bread & Chocolate, as were our guests. The venue is beautiful, but what truly made is great was the staff. Thank you tremendously! Where do I begin?! Thank you so much for everything you did to make sure our day was wonderful and perfect! Thank you for answering all of our questions, finding solutions and ironing out all of the important details. Our day was a dream and we got countless compliments in regards to the venue and catering. You were a joy to work with! Love and thanks! We wanted to say thank you for everything that you all have done for us. The venue was beautiful, food was amazing and the entire staff was incredibly helpful and friendly throughout the whole process. Thank you so much for helping make our wedding day so amazing and memorable. Thank you so much for all of your help organizing everything for our wedding! You were so patient, kind and helpful. I very much enjoyed working with you and everyone at Bread & Chocolate! Thank you for helping us have the best wedding!! We cannot thank you enough for all of the time, effort and patience you put into make our wedding day absolutely perfect! Everything went as planned, the venue was beautiful, the food was great, and I received so many compliments about how wonderful the staff was. You have a special group there. Thanks for all you do to make the bride and groom's special day so magical! Mike and I wanted to say thank you for helping to make our special day so memorable! From the day we booked our room, everything went extremely smooth. The staff we worked with o our day were wonderful. They were prompt and courteous. We could not be happier with how the reception went. All of our guests loved our venue and offered nothing but praise. So, thank you again for your professionalism and outstanding customer service. We cannot thank you enough for making our September wedding a huge success! From the countless hours spent planning, to the venue setup, food and service - the day was picture perfect (and super delicious!). We are so appreciative and will remember all of you when we look back on our special day for years to come! Thank you so much for all of your time and hard work! Our wedding day was extra special thanks to your attention and organization. Your serving staff was extra kind and attentive to our guests which was greatly appreciated. Our wedding day was beautiful thanks to you! Thank you so much for all the help you were in planning and making our wedding go smoothly! You were always so helpful with any questions or requests we had, and we will definitely be recommending you to all our engaged friends! We are so thankful for you and all you did for us! Thank you all so much for playing such a crucial role on our wedding day. Everything was gorgeous and our guests raved about dinner and dessert! Everyone at Bread & Chocolate exceeded our expectations, it was a wonderful experience start to finish! We are so grateful. Thank you for your hard work and helping make our wedding day so amazing and beautiful. We had so many compliments on how gorgeous the venue was, the friendliness and efficiency of the wait staff, and the food! So many told us it was the best wedding food they've ever had! Thank you for all of your help planning before the wedding. Thank you for taking such food care of us and our wedding party the day of! We were absolutely blown away by the venue and staff on our wedding day! We cannot thank you enough! Having our ceremony and reception in your venue was, hands down, the best wedding decision we made. We knew after our first visit that your venue was perfect for us and didn't even feel the need to look at another. Your communication in the planning and execution the day of was impeccable. Your staff was an ever-present, yet almost invisible presence during our special night. Guests raved about the food- one man even calling us the next morning before 9am to tell us it was the best wedding dinner he'd ever had! Thank you again for all of the behind the scenes work you all did to ensure that our wedding day was perfect. We can not stop singing your praises to family and friends! You are amazing! We are so blessed to have found this venue for our special day. 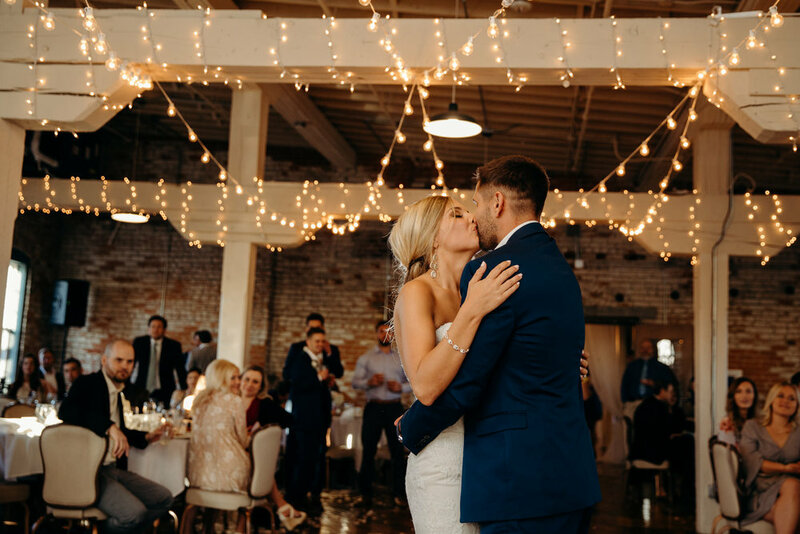 Jessica & staff went above and beyond to ensure our wedding went smoothly, from the food, to the equipment, lighting, seating, planning and so much more. Could not possibly be more pleased to have booked this - far exceeded our highest expectations. Thank you so very much! Thank you! Wow, we had an amazing day! We want to thank you for so much! You were so fun and easy to work with, and your venue is perfect! We had so many compliments on the venue and food. We would totally pick Bread & Chocolate again if we redid it. Thank you again so much! Our day was perfect thanks to you! … The venue was absolutely perfect, well laid out, attentive staff, and absolutely amazing food. … We have gotten many complements that this was the best wedding food our guests had ever had. We worked with Jessica to coordinate everything at The Old Bag factory. She is incredible! Very responsive and prompt! She suggests ideas that she knows will work with the space and timing while still helping to incorporate the ideas we had. She helped make everything so seamless. We have gotten countless complements on our wedding being the most fun and seamless wedding our guests have ever been to. This wouldn’t have been possible without the amazing venue and amazing Bread and Chocolate Staff!